Great shirt with excellent monogrammed French cuff! I love it! 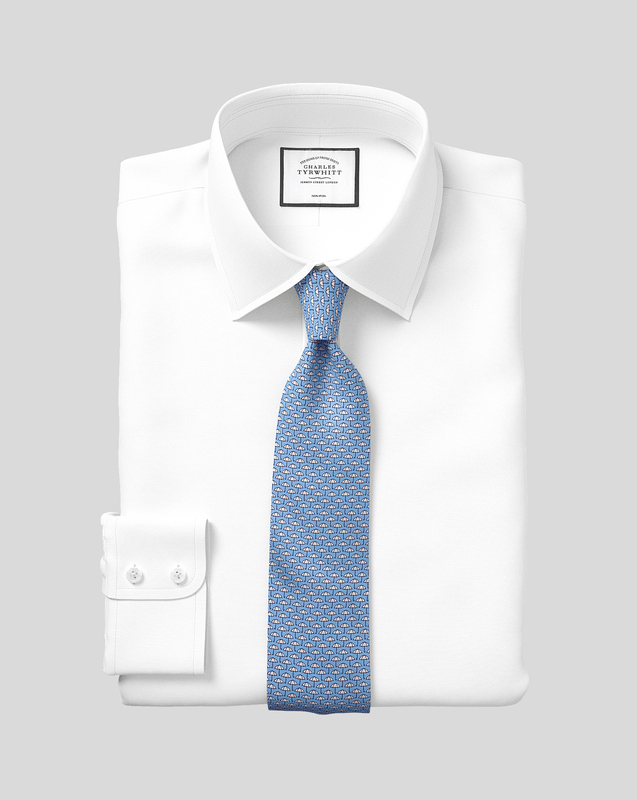 Response from Charles Tyrwhitt: It is very unusual that you have found both the Triangle weave and the Royal Panana shirt fit to be inconsistently when compared to the other four shirts in your order. We would appreciate a slight discrepancy due to different suppliers but this would be subtle since all of our shirts are made to the same sizing specifications. Our main aim is to ensure you are happy with the products you have ordered, so we would be happy to exchange these for a fresh set of shirts. Alternatively, you can exchange these two shirts for something else or change the size if this is preferred. The shirt is very durable, yet, soft. A great addition to my collection of nice white shirts. Shipping time to Los Angeles area was excessive. No real way to track package Shirts are wonderful.